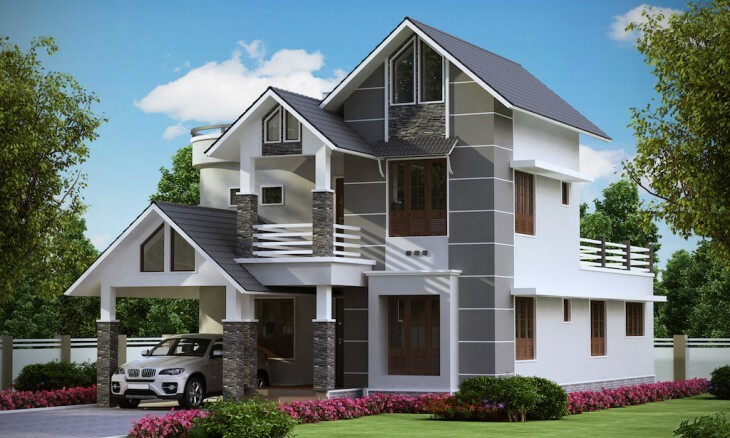 a 2057 sqft Majestic 4 Bedroom Villa Design done by A-CUBE Builders & Developers,Kodungallur. This majestic villa with its royal look is sure an eye catcher.Total square feet of this bungalow is 2057 sq.ft.If you wish to be a proud owner of such beautiful bungalow please do contact A-CUBE Builders & Developers. If you like this House design idea theme - "2057 sqft Majestic 4 Bedroom Villa Design" , do take few seconds to share with your friends and relatives . Let them know what you like.